To allow more time to complete each of these processes, this needs to be a 2 day workshop. The workshop covers piped binding, faced edges, border bindings, prairie point and frill finishes, and extra trims before you bind. The work is done in class on placemat size samples that are quilted before class. This workshop is condensed to generally be held over 2 days (could be more), and covers all the techniques needed to make this quilt. A special template has been created to help design the block sections, and the method taught allows students to expand and design some blocks of their own. Several block sections are constructed in class and comprehensive notes are given for students to continue at home. The methods used to determine the size of and to make the large blocks are covered in the workshop and students can design their own quilts around this process. Foundation piecing and the advance method of how to match pre-sewn seams in foundation piecing are also covered in this workshop. This is the first in the Points at Play series. The range are all based on half rectangle shapes using regular rulers and a trim to size method. 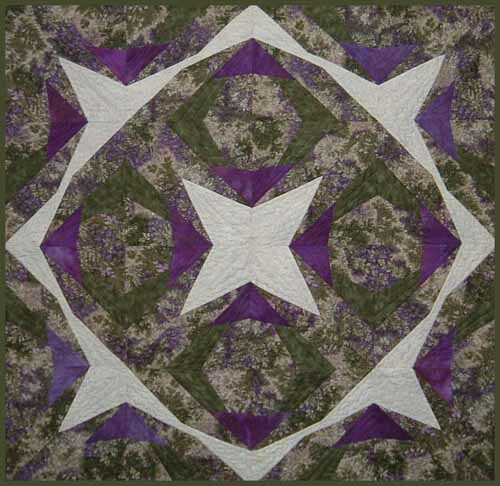 This quilt uses two sizes in the piece units and creates a double star design which has been surrounded by a border that gives a “glow” around the centre. 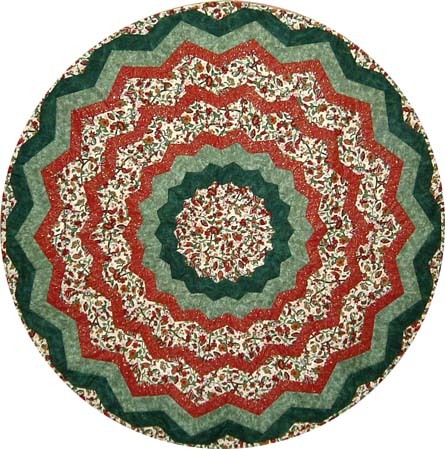 This quilt uses the 10 degree wedge ruler to create a circular quilt, or have a play with the panels to create a bed quilt – this often looks good combined with applique. Strips are pre-cut before class. 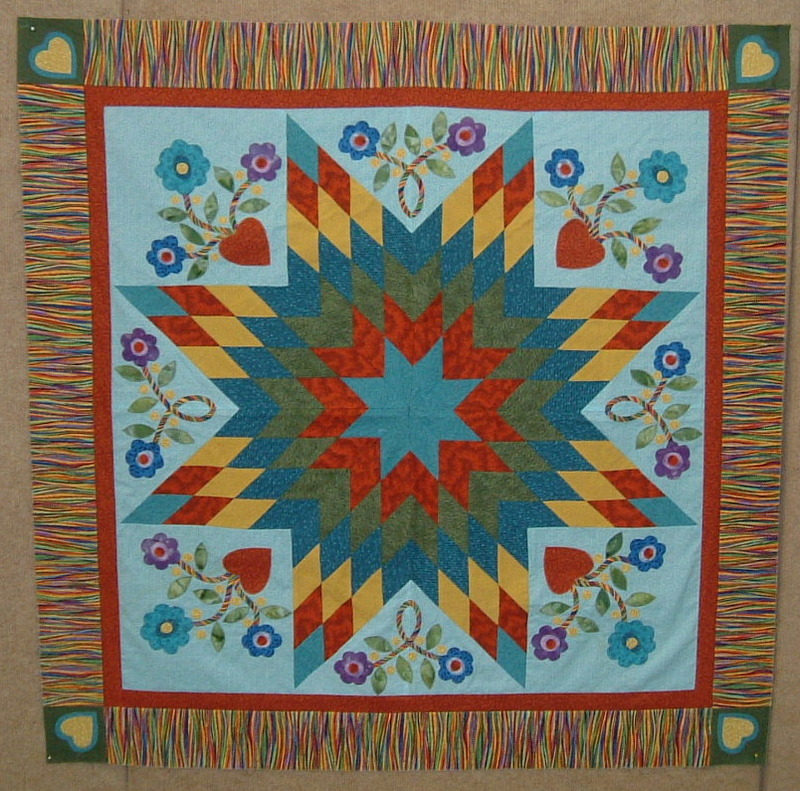 This workshop could be a one day without the top being completed, however 2 days give the chance to design a different style quilt or complete the circle top. 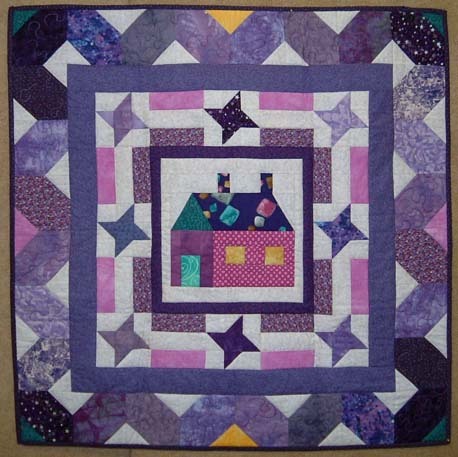 This is another workshop that uses scraps and a great one to work with the 5″ squares many have collected in their stash. 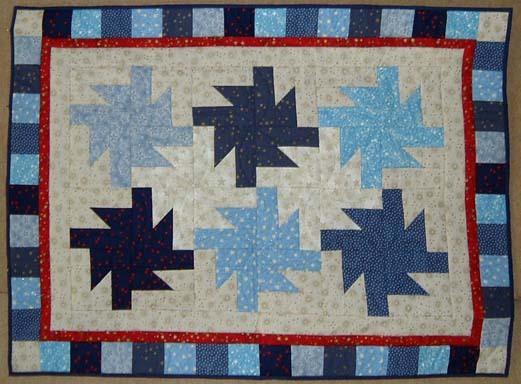 The uneven stars add and interesting touch to the sashings, and could be used in many other quilts. Clean out the cupboards for this quilt. A great workshop to use up odd fabrics and leftovers from other projects by having one fabric as the background to pull it all together, or complete a co-ordinated quilt with a limited palette of 4 or 5 fabrics. 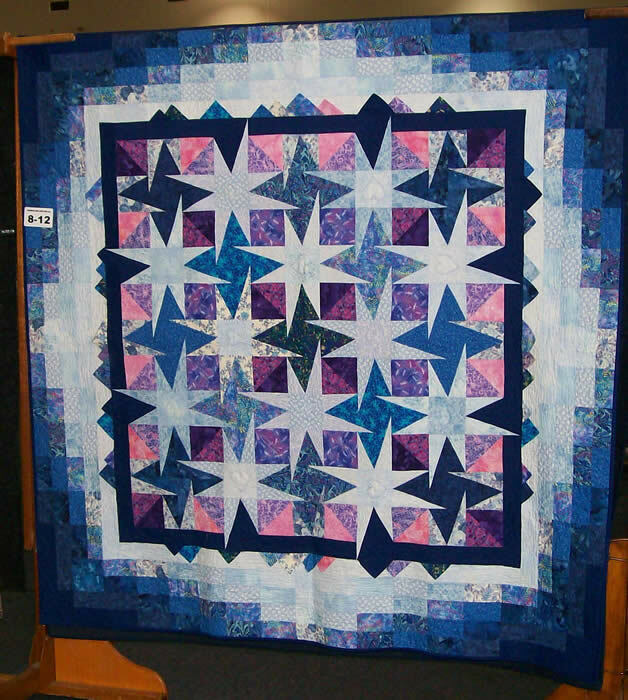 This workshop teaches the strip piecing method for making the lone star, which can be used as a wall hanging or as a medallion for a larger quilt. 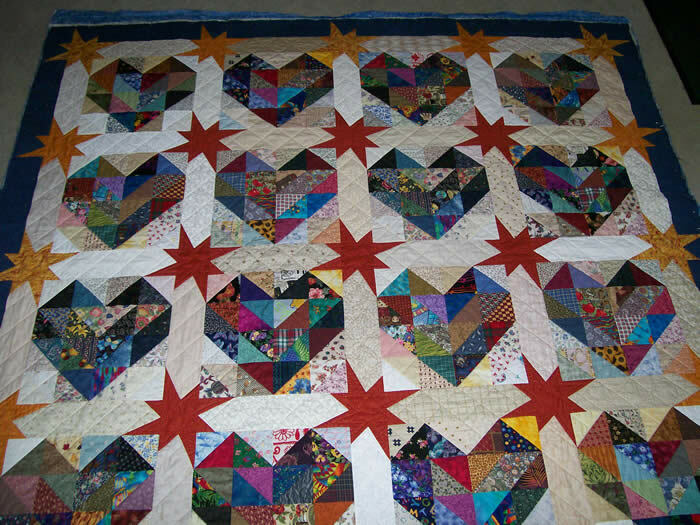 Fat Quarters of fabric are used, and different sized star options are given. 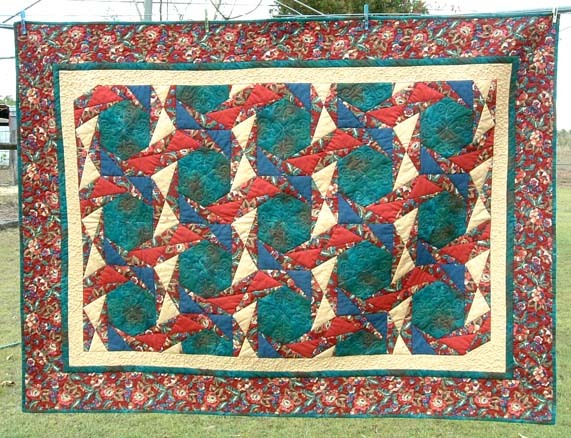 Gain confidence with Rotary cutter work using angles bias seams and matching points. This workshop also covers the machine appliqué for added interest. 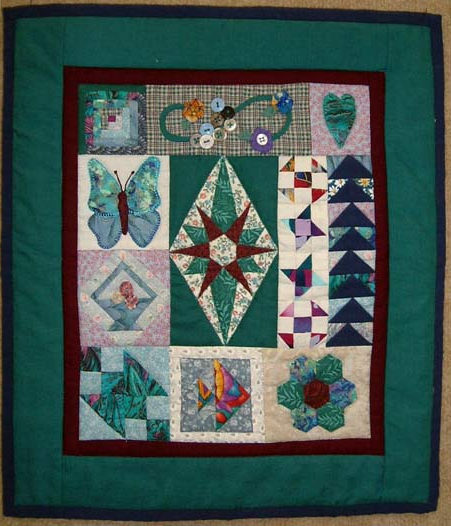 This workshop is based around a more advanced piecing block, however the workshop has been developed to allow each student to make their own design of quilt, working with the common centre block in various ways. Each person is able to decide on the degree of difficulty they would like to attempt, then select border and unit designs from several different options given, to create their own look. Two size variations are also provided, each with a different set of options. 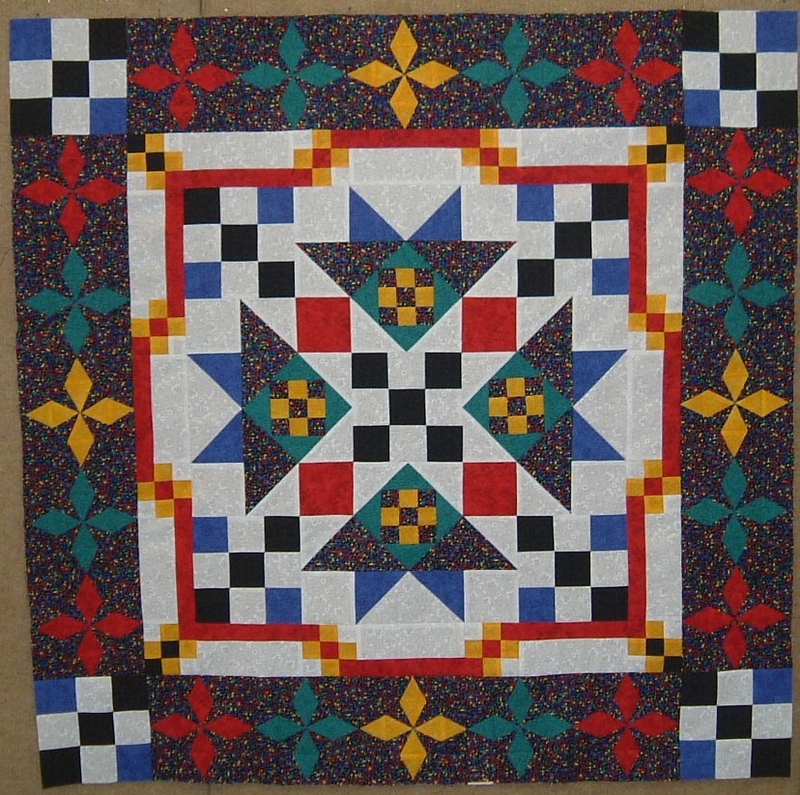 Border fabrics and printed squares are used in one variation, keeping the design simple for newer quilters, whereas other variations include foundation piecing, curved features, appliqué and several piecing techniques. More details about selection appear on requirements list. With lots of variation in skill levels, this workshop is suited to all from beginner to more advanced workers. Another practical quilt that converts to a pillow. This one is great for scraps, two colours or a varied colour scheme. A quick block construction using rotary cutting and great for the angler tool. Make from cot to single size. 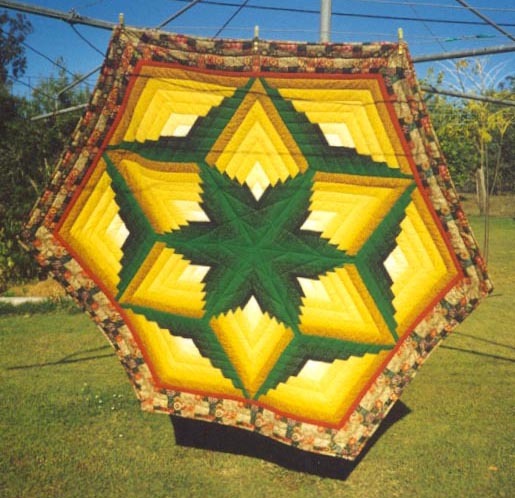 Using different size logs create a hexagonal tablecloth or quilt where the design features a central star or circle design (depending on fabric choice and layout) inside a star inside the hexagon. This can create a dramatic look using graduating tones or a more subtle finish with less fabrics. Learn more about your rulers with rotary cutting skills using angles as a major part of this workshop. This workshop features the wedge ruler to create a circular design quilt, with borders that chevron around. Make a wall hanging for above a door or sideboard. 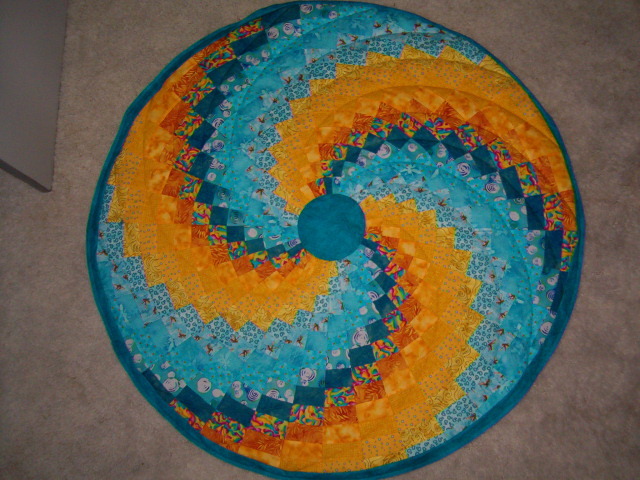 Find out that circle quilts can be fun, and not as daunting as they may seem. This little sampler quilt will allow you to try several patterns, in the one quilt: Stars, flying geese, basket, log cabin, mariner’s compass, and more during the workshop. More advanced skill level for this one. 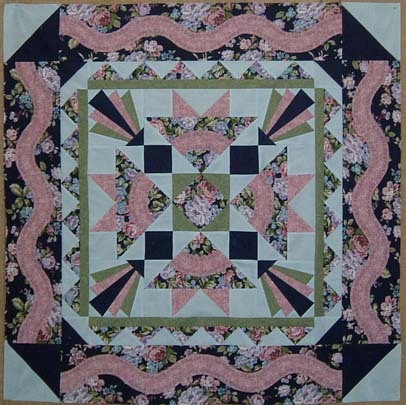 This square quilt could be a wall hanging, a table cloth or the centre of a larger quilt. Both foundation piecing and quick Dresden flowers are used in this project, with pre-cutting to enable a quick start to construction. This workshop is designed around a repeat hexagonal block. 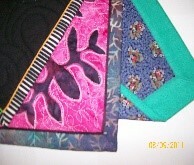 We use five fabrics or 1 central fabric and four colour sets of scraps. The quilt can be made to suit any size and looks good bound as it is or add some borders to give extra effect. More advanced skill levels – machine work. Only part of the quilt top will be constructed in class time. 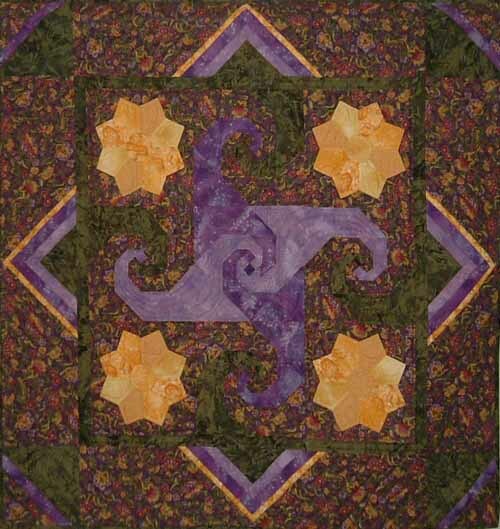 This quilt has a centre designed around a simple pieced unit that has many different arrangements. The centre can be a square or rectangle. 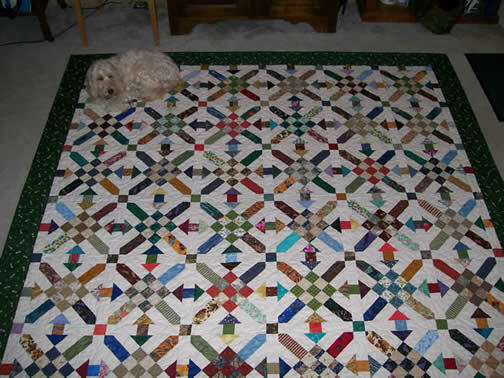 By adding borders we have a lap, or single quilt to suit individual needs. Finish at home with borders of a single fabric or pieced to add a different dimension. Perhaps later add some appliqué to give it your own touch. Suit all skill levels – machine work. Only part of the quilt top will be constructed in class time. 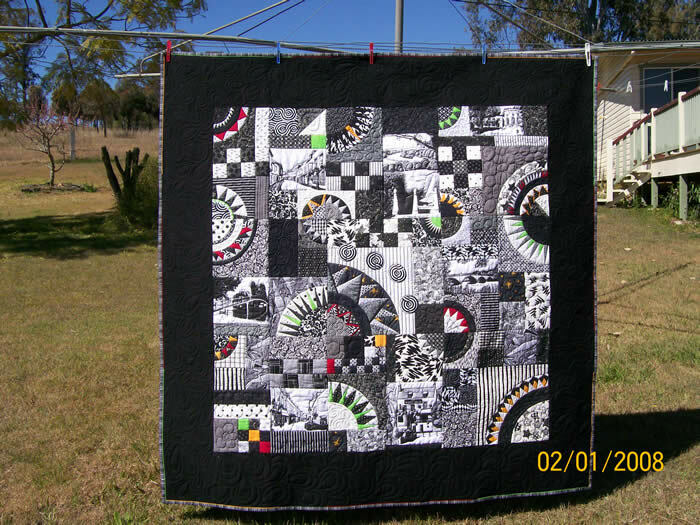 This quilt is suitable for new patch-workers and covers cutting techniques, a small section of foundation, flip & sew and general piecing skills to produce a small quilt with central house block with several borders.